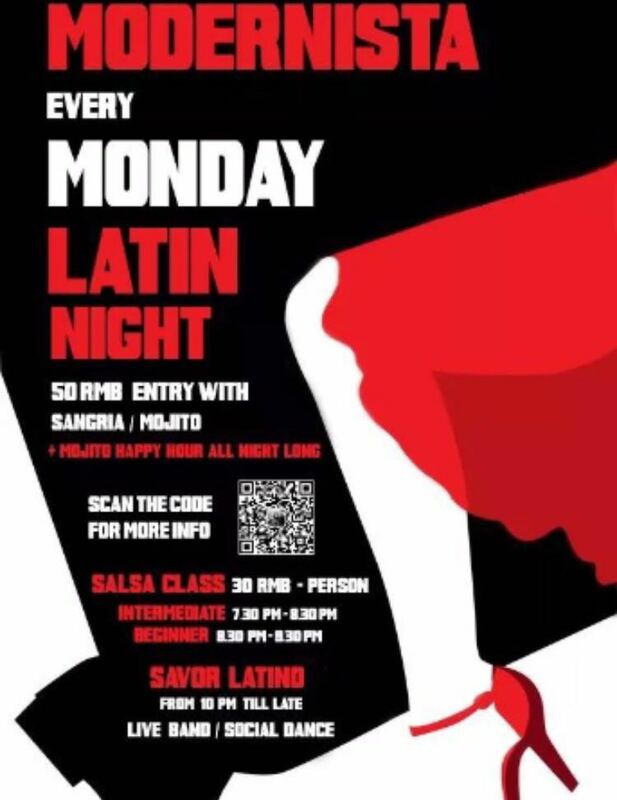 At Modernista we choose to celebrate the beginning of each week by dancing salsa, sipping on mojitos and listening to the great live music by Savor Latino! Throw the weekly conventions away and join us in making Monday the new Friday every week at 10PM! Before the Live music comes on our Cuban dance teacher Gustavo holds salsa classes! Beginners at 8.30 and intermediate at 7.30. If you want to sign up for class write us on facebook or scan the QR Code to get in contact with us on wechat. See you Monday evening ♥ ! The ticket to get in is 50RMB and you can pay it at the door and you get 1 drink included!